Gorgeous! I will add to your comments that for gardeners these plants are favorites for shade and part shade gardens. They are a must in woodland gardens! These are the first flowers to bloom, ( some varieties will not on Christmas as we would like) but a bit later like March. The blooms are very long lasting the foliage is shiny dark green, tropical looking because of the large palmate leaves. 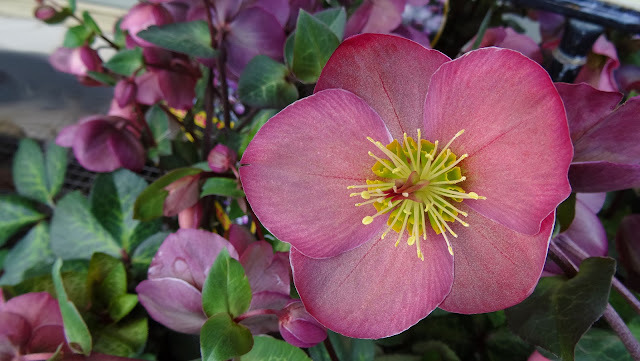 Hellebore brings hope that spring is around the corner especially in the zones where winters are long and cold. New varieties are coming out every year. The double hellebore are the new big hit! Interesting background on this beautiful flower. So very lovely. I've never seen such a pretty flower before. Thank's for sharring. Beautiful - lovely flower and colour!